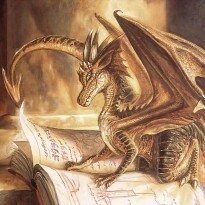 High fantasy has always been one of my all-time favorite genres, so I get really excited when I come across a book that promises to take me to a whole different universe. “Journey of Shadows” did not disappoint me in this respect. The author has created a fascinating world and populated it with witches, wizards, strange creatures of darkness, and some very interesting races. Oh, and let’s not forget the incredibly detailed map of Palâdnith at the beginning of the book. I spent long minutes analyzing it and trying to follow the characters’ journey. The world-building is quite solid, even though the author doesn’t describe Palâdnith in too much detail. The background information that we have about the battle between the Sentorân and the Esquill is enough to make an idea about how magic works in this world. Basically, these are two orders of sorcerers. The Sentorân were powerful and righteous, and they helped the realmlords rule over Palâdnith until the sorceress Riadamor rebelled against her own order and created another one, the Esquill. The Esquill managed to defeat the Sentorân, and Riadamor tracked the remaining ones and killed them. Our main characters, Seth, Val and Eni, are the last of the Sentorân, and are now on the run from Riadamor’s hellish creatures that were sent to kill them. The plot is quite complex and creative. Seth, Val and Eni got separated long ago and they don’t know anything about each other. They have very different personalities, and this is another thing I liked about this novel – the character development. I must admit that the only characters I really liked were Seth and the Malwagen king. Val and Eni irritated me to no end, especially Val. But that’s a plus, actually, because a novel in which you like all the main characters is never realistic. I have a feeling that Val and Eni will evolve a lot in the next books, when they will learn more about themselves and will understand how important their mission is. Seth seemed to be more determined, mature, and in control of the situation, even though he knew just as little about his Sentorân origin. While reading the book, I always looked forward to the chapters that focused on Seth’s journey. 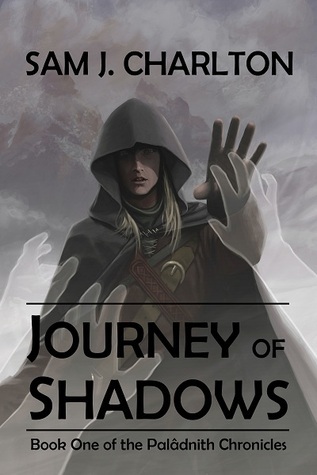 When I finished the last chapter of “Journey of Shadows” my first impression was that the book was too short. Actually, it’s not too short, but it ends quite abruptly. Of course, this only makes you want to grab the second book in the series. I hope we won’t have to wait too long until it is released. A quick note before I end my review: this book is self-published and it is a great example of how a self-published novel should look like. The writing is neat, there were no grammar/spelling/punctuation mistakes, and I could really tell that it was carefully planned and edited. And it also has a beautiful cover. Just perfect! If I hadn’t checked on Amazon, I would have never known it was self-published.